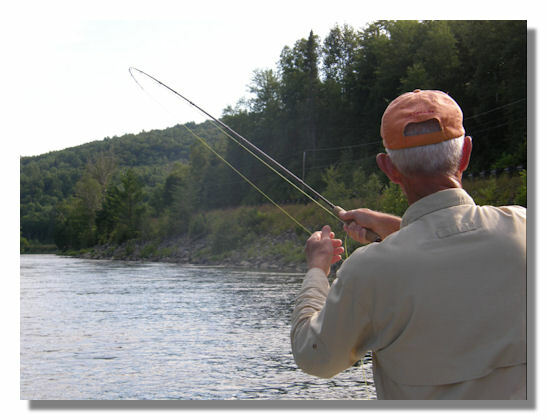 We recommend a rod 8-9' in length capable of casting a 4-7 weight line. Floating, sink tip, and full sink lines all have their place and are used at different times and/or conditions. Equipment is available for guest use at no additional cost. Chest waders or hip boots with felt bottoms or studs are optional. During the heat of summer many guests wear sneakers, Tevas or comparable wading shoes and shorts to stay cool but the weather can change dramatically in minutes so the angler is advised to also bring warm clothing and foul weather gear. A hat, polarized glasses, and sun screen are also strongly recommended.